Despite downed trees and power outages from Saturday's snowstorm, 42 players showed up on Sunday at the quads in Westfield. 49.Rb4 Rxg3 50.Rxb5+ Kc6 51.Rb1 Re3 52.Kf4 Re7 53.Rc1+ Kd7 54.Rd1+ Kc8 55.Rc1 Re2 56.Kf3 Re6 57.Kf4 Kd7 58.Rd1+ Rd6 59.Rc1 Re6 60.Rd1+ Ke7 61.Rc1 c6 62.Kf5 Kd7 63.Rd1+ Rd6 64.Rc1 Rd5+ 65.Ke4 Kd6 66.Rh1 Rd2 67.Ke3 Rd5 68.Ke4 Kc5 69.Rc1+ Kb6 70.Rb1+ Kc7 71.Rc1 Kd6 72.Rh1, draw. 39.Nc5 Rf7+ 40.Ke1 b6 41.Nd3 Bc4 42.Rf2 Rxf2 43.Nxf2 c5 44.dxc5 bxc5 45.Ne4 Kc7 46.Nxc5 Kc6 47.Ne4 Kb5 48.Kd2 a5 49.Nc3+ Kc5 50.Kc2, draw. Garry Kasparov on Russia Policy of U.S.
Garry Kasparov criticizes the Russia policy of the United States, in an interview with Eli Lake. 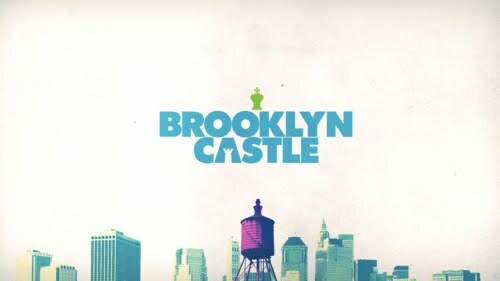 Matty W. Kelley Reviews "Brooklyn Castle"
At NorwoodPatch, Matty W. Kelley reviews the documentary film Brooklyn Castle. I have come to like your blog, especially as you mostly play openings preferred by Morphy and Fischer. What about 14.Nxc6 in your recent game against Fabbri? After the game, my opponent suggested 14.Nf3 as a way for White to keep his extra material, for example by 14...Qf6 15.Qg2. Your move 14.Nxc6 could lead to 14...Qc5 15.Ne5 Nxe5 16.Rxe5 Bxe5 17.Qxe5 Be6 18.Be3 Qc6 19.Qg3, again with a material advantage for White. But, as I told Fabbri, I was more concerned with completing my development by 14.Bf4 (which led to a positional plus for me) than with holding on to material. The New Jersey Knockouts won their first match of the season by reining in the New York Knights, in week nine of the U.S. Chess League. Check out last night's games from boards one, two, three, and four. FM Nathan Resika [pictured] won the FIDE Mondays tournament at the Marshall Chess Club, defeating me in the final round with a rare move in the Pirc Defense. In the diagram, arrived at via the 6...Na6 line in the Austrian Attack, Resika has just played 7...Ng4 instead of the usual 7...Nd7 or 7...Ne8. At ChessLab, I could find only a few games where Resika's move was played. The best plan for White seems to be 8.h3 Nh6 9.Be3 c5 10.d5. Our game on Monday night proceeded 8.h3 Nh6 9.Ne4 c5 10.c3 cxd4 11.cxd4 Qb6 12.O-O Nb4 13.Be3 Nd5 14.Bc1 Nf5 15.Qa4 Nb4 16.Bb1 dxe5 17.fxe5 Nc6 18.Kh1 Ncxd4 when "the fat lady sings." As you may have guessed from his picture, in addition to being a FIDE master, Nathan Resika is also an accomplished opera singer. 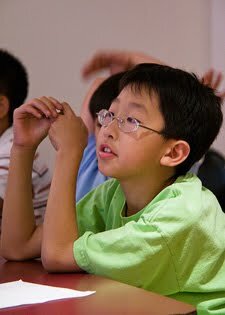 After the first weekend, twelve-year-old Christopher Wu [pictured] leads the Marshall Chess Club championship with 4 wins plus a half point bye. Wu has defeated WIM Shernaz Kennedy, FM Asa Hoffmann, NM James Black, and NM Yefim Treger. These pictures were taken by me during the Hamilton quads on Saturday. On Saturday, I won my quad at Hamilton with a score of 2-0-1. 102.Bd3 c4 103.Bc2+ Kb5 104.Kc3 Be2 105.Kd2 Bg4 106.Kc3 Kc5 107.Bb1 Bd1 108.Ba2 Bb3 109.Bxb3 cxb3 110.a4 b2 111.Kxb2 Kb4 112.a5 Kxa5 113.Ka3 Kb5 114.Kb3 Kc5 115.Kc3 g6, White resigns. 36.Rxd6 Bxg2 37.c3 h5 38.Rh6 Bd5 39.Rh8+ Ke7 40.b4 Bf7 41.Rb8 Bd5 42.c4 Bxc4 43.Rxb7+ Ke6 44.Bc5 Re4 45.Rh7 h4+ 46.Rxh4 Rxh4 47.Kxh4 Kf6 48.Kg4 Kg6 49.h4 Be2+ 50.Kf4 Kh5 51.Be7 Bb5 52.Ke5 Bf1 53.Kd4 Kg4 54.Kc5 Kh5 55.Kb6 Kg4, draw. 55.Kxb7 Kd3 56.Kxc6 Kxc3 57.Kxd5 Kxb3 58.Kc5 Ka4 59.Kb6, Black resigns. According to goodreads, Lynda West and James L.W. 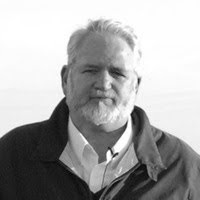 West [pictured] co-authored my book The Philidor Countergambit in 2002. At least, they got the publisher Chess Enterprises right! "The Great Chess Movie" on "YouTube"
Watch The Great Chess Movie on YouTube. In week eight of the U.S. Chess League, the match between the New England Nor'easters and the New Jersey Knockouts was a less than perfect storm, ending in a tie. Get blown away by last night's games from boards one, two, three, and four. On Sunday, I snapped these photos during the ICA Fall 2011 Open tournament in Hackensack NJ. Last night, I drew this game at the Marshall Chess Club. 56.Kg2 Kf4 57.Kf2 Kg5 58.Kg3 Kh5 59.Kg2 Kh4 60.Kh2 g3+ 61.Kg2 Kg4 62.Kg1 Kg5 63.Kg2 Kh4 64.Kg1 Kh3 65.Kh1 Kg4 66.Kg2 Kf4 67.Kg1 Kf3 68.Kf1 g2+ 69.Kg1 Kg3, stalemate. Knights to NJKO: "The Neighs Have It!"